England is to follow the lead - of Scotland and Wales, and get a Children's Commissioner to champion the rights and interests of young people. It's expected to form part of the government's new plans, to protect children at risk of abuse. 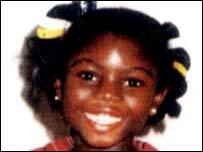 The proposals have been drawn-up in response to the inquiry, into the murder of the eight-year-old, Victoria Climbie. The public outcry at the tragic death of Victoria Climbie three years ago led to an independent inquiry led by Lord Lamming. Today's proposals are the government's response to Lord Laming's inquiry. It's also thought the proposals will include - children's Trusts, where all relevant services will sit together under one roof, and a new Tracking System for children at risk. Natasha spoke to Ann Turner, who, thirty years ago, tried to alert social services to the treatment of seven years old Maria Colwell. Ann Turner was Maria Colwell's teacher but the little girl was killed by her parents after social services failed to intervene to save her life. Ann Turner welcomed the Green Paper, but said that almost all the proposals in it had been made before - the inquiry following Maria Colwell's death 30 years ago called for "joined-up thinking" - a large part of what today's proposals will be aiming to achieve. But she said that this time, if the proposals were actually implemented, then it would make a difference to the lives of children. She welcomed the Children's Commissioner, though warned that it was easy to give people grand titles, but added that "at least it would focus on the needs of the child". And she feels that a national "at risk" register really would make a difference. Ann explained that as a teacher working with children who were felt to be at risk, contact was often lost when a child moved to a different neighbourhood. Most of all though, Ann called for joint training of professionals involved in helping children. This is not being proposed in the Green Paper, but Ann feels it would make a big difference. He explained that the job of a Children's Commissioner is to provide a "critical and exclusive" eye over all the government services that affects children. To see our interview with Peter Clark, click on the link on the top right hand side of the page. He has been in post in Wales for two years and said that so far he's had very good collaboration from the children's agencies there. But he is quite prepared to use his strong legal powers to force agencies to act in the best interests of children, if he feels that they are not doing so. He and his staff go round schools, youth clubs and other areas where children congregate, to find out what children are saying about the services that affect them. But actually finding out what children think and are saying will, believes Peter Clark, be one of the hardest parts of the job for the Children's Commissioner in England. "I've been waiting 30 years for something like this"